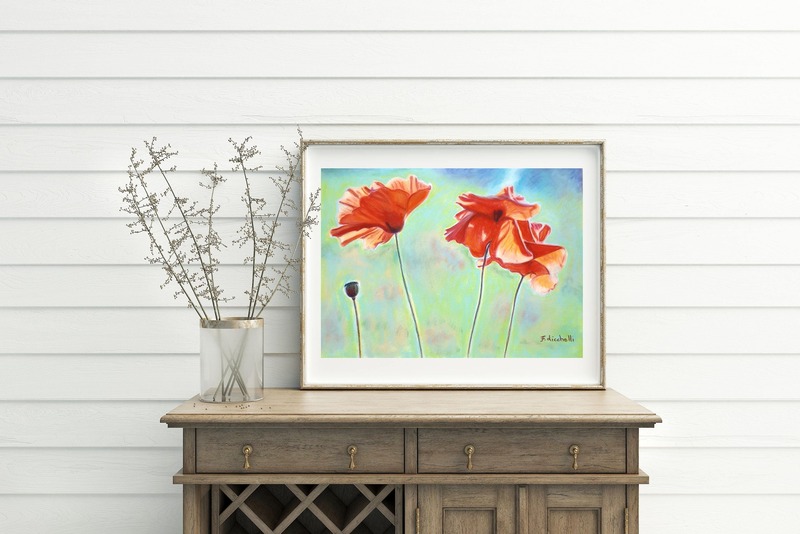 Poppies in the wind, giclée fine art print of original artwork, soft pastels on velvet paper, gift idea for her, home office decoration. 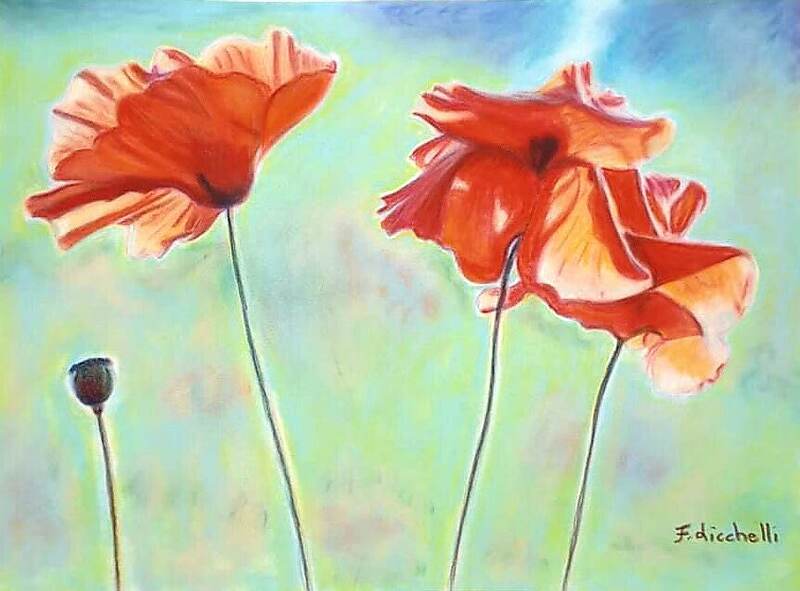 Giclée print of my original pastel. A4: dim. 21 x 29,7 cm./8,3 x 11,7 inc.
A5: dim. 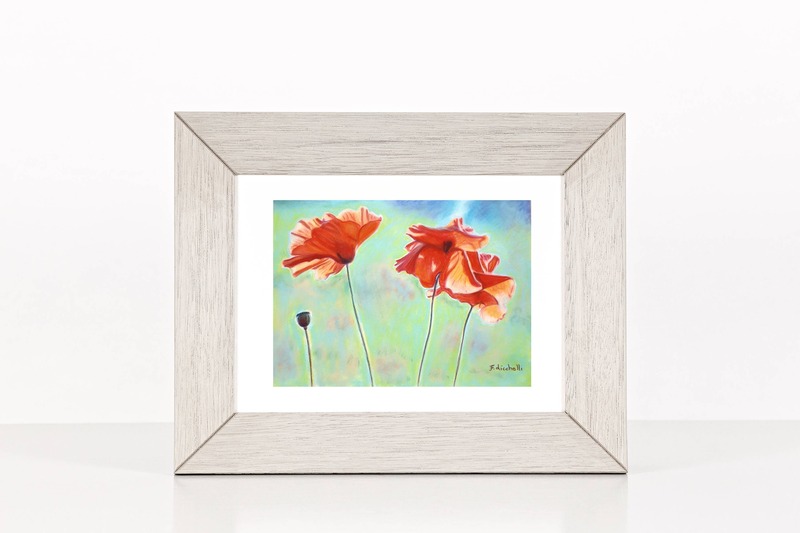 14,8 x 21 cm./5,8 x 8,3 inc. I love nature at 360 degrees: flowers, animals, human bodies; their shapes, lines and colors, their harmony, their simplicity and elegance. Above all, I love capturing hidden details that nobody can see that convey the true beauty, the eternal and sacred.